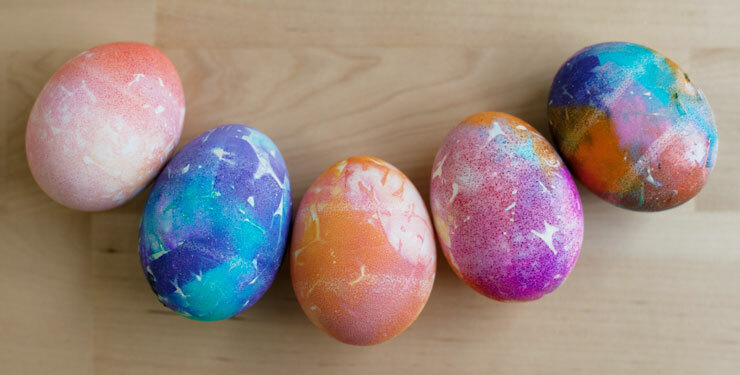 Using bleeding tissue paper, you can create beautiful, tie-dyed eggs for Easter. When wet, the ink from the tissue paper is transferred to the eggshell. Warning: it will also be transferred to fingertips! First, hard-boil the eggs. Cut or rip small squares of tissue paper in your desired color palette. Grab a paint brush, a glass of water and some paper towels—you’ll want to protect the table as the ink can stain. 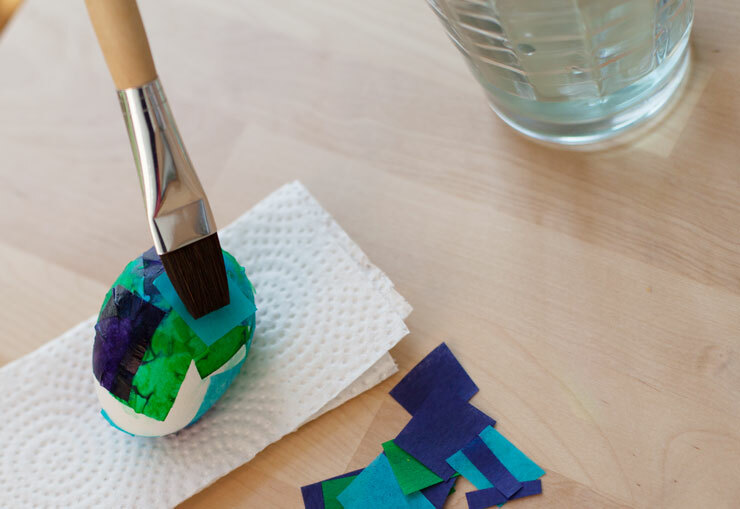 Place a square of tissue onto your egg and “glue” it in place with a wet paintbrush. Continue to cover the egg with pieces of tissue. You’ll notice that the wetter the tissue is, the more the colors bleed together. 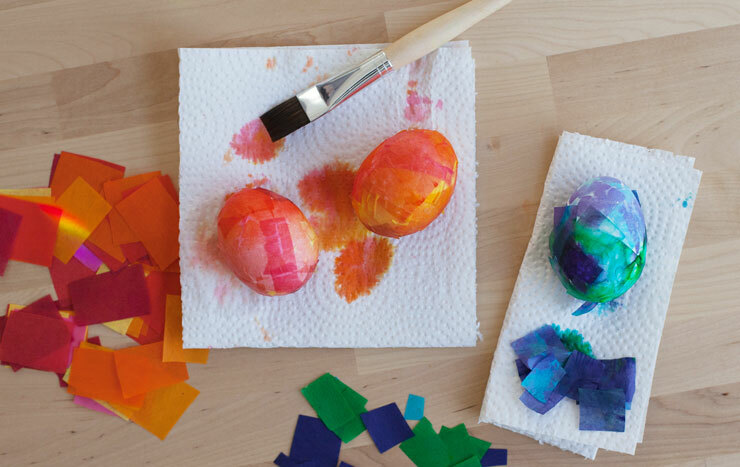 When your egg is completely covered, let it dry, then peel off the tissue paper to reveal a vibrantly colored egg!